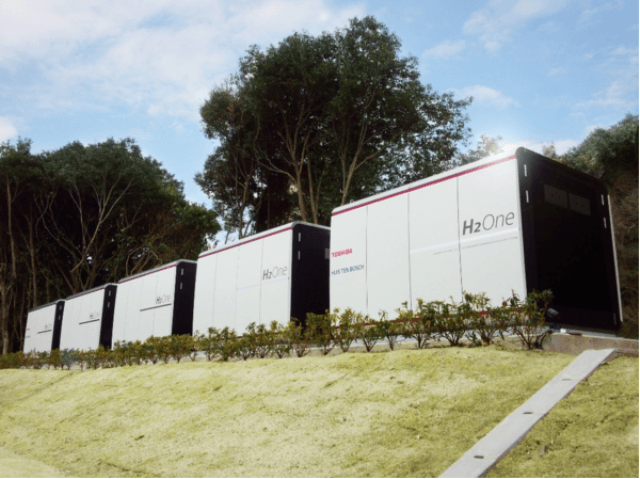 Toshiba Corporation today announced that H2OneTM, Toshiba’s hydrogen based autonomous energy supply system, which integrates renewable energy generation and uses hydrogen as a fuel for power generation, has entered operation in the Phase-2 building of the Henn na Hotel, at the Huis Ten Bosch theme park in Nagasaki, Kyushu. The H2OneTM installed at Henna Hotel deploys a hydrogen storage tank made with a new hydrogen storage alloy that achieves much improved high-density storage. The tank is less than one-tenth the size of the conventional model it replaces, and suitable for use even in small spaces.